Unfortunately, this plush "Blech-cronomicon" is already sold out at Gallery 1988, where it's part of the "Crazy 4 Cult 8" show. But rest assured that you can see more of Steff Bomb's work here. 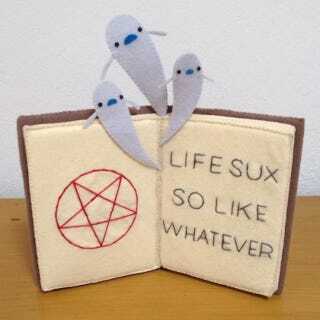 Or like whatever.